First Two Lease Payments On Us! Available in 2019 F-Pace And 2019 E-Pace. 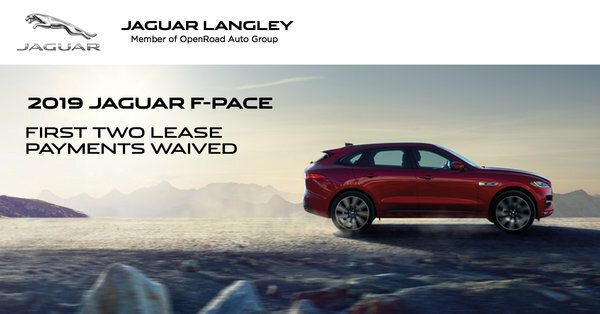 Plus Lease 2019 F-Pace 25t AWD Prestige (#FP3230) At 2.9% APR. Bi-Weekly Payment For $362.93. Down Payment Only $5,000 Plus Tax.